Entering from Pacific Highway travel along Shirley Street, just as you approach town, you will come to a round about with the Police Station on righthand side and petrol station on left. Go over the roundabout (do not turn left) and follow the signs to Arts Factory Lodge/Cinema. Follow the road around for around 2 minutes and you will see large drive way with Arts Factory Village, to the right of the sign is the driveway for The Garden Burees. Escape to a lush wonderland, and immerse your senses in a unique array of accommodation styles, that suit all occasions and budgets. The Garden Burees offer a selection of accommodation choices each with their own unique charm. 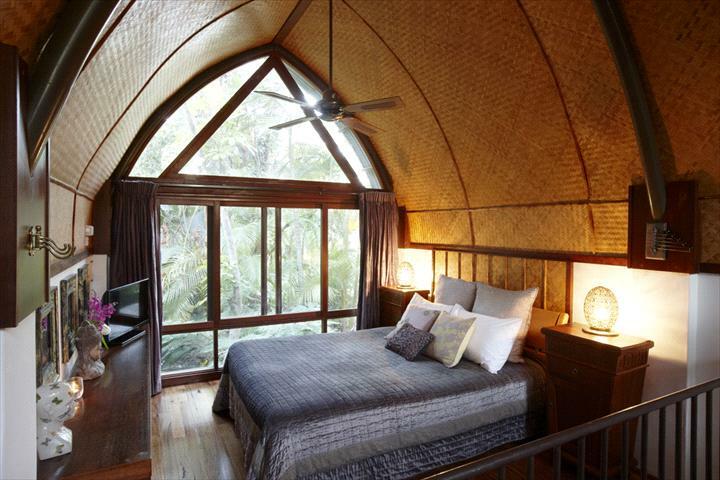 Choose from Balinese style bungalows for two or The Grand Buree that can accommodate the entire family, all nestled in sub tropical surroundings. 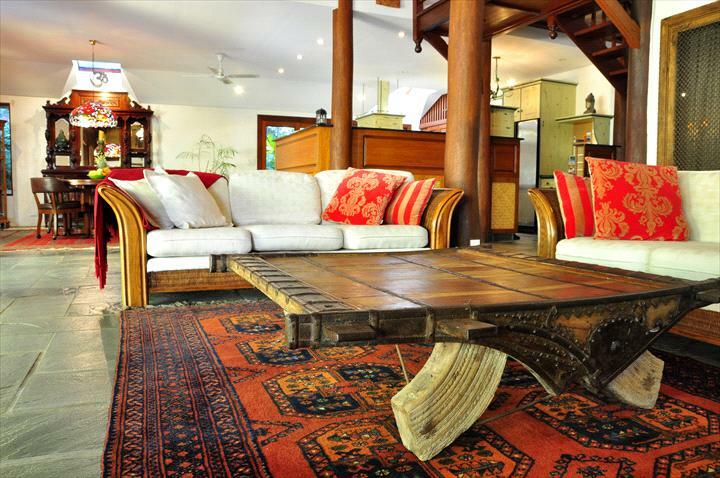 The Burees are situated only ten minutes stroll to the town centre, shops and beaches of Byron. Next door is the Buddha Gardens Day Spa where you can indulge your senses in a selection of exotic treatments with complimentary use of the heated plunge pool and sauna. Also right on your doorstep is the renowned Byron Bay Brewery, where you can take a tour and sample their award winning beer. Whether it's a romantic weekend escape, or a group holiday Balinese Garden Burees cater for your every need. Experience the unique atmosphere of Byron’s town centre. Close to everything Byron has to offer including a variety of restaurants, cafes and boutiques right on your doorstep. The pristine beaches of Byron Bay are only a short leisurely stroll from your holiday accommodation. Balinese Garden Burees are a 10 min walk to town centre and beaches. 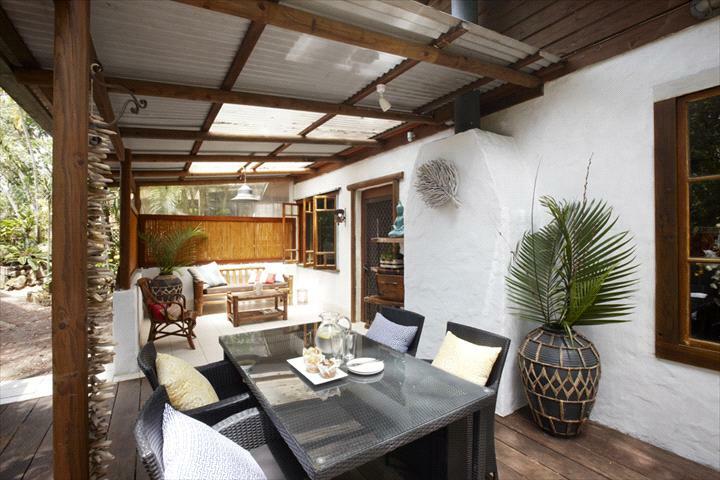 Birdsong Hideaway - The chic, unique and airy quality of this 2 bedroom hideaway makes this an ideal place for couples, families or friends to get together and enjoy Byron Bay. The spacious outdoor entertaining area allows you to kick back in the lounge area or dine with friends in the privacy of the large verandah. Wake up to a chorus of birds in the morning, just in time to make a coffee in the well appointed kitchen. The bathroom has a shower above the bath and a separate toilet. 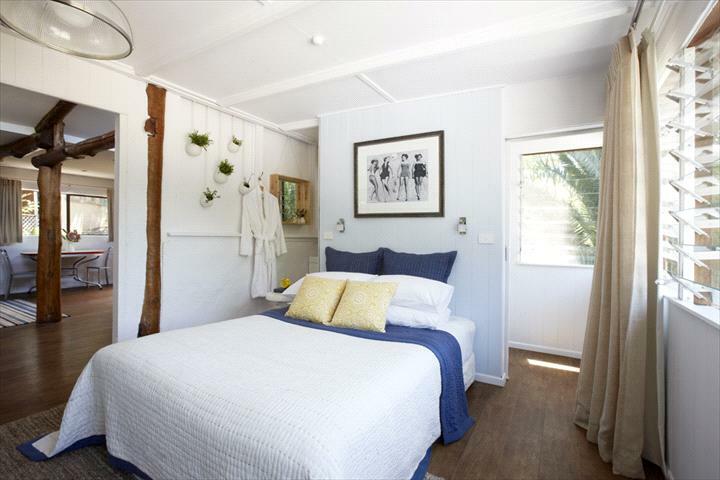 Facilities include a BBQ, full size fridge, microwave, oven and cooktop, tea/coffee making facilities and scrumptious Byron Bay Cookies and Coffee on arrival. There are laundry facilities on site. Complimentary on site parking. Dragonflys Rest - Nestled amongst the sublime sounds and ambience of your tropical surrounds, this is a wonderful option for the romantic at heart. Whether you want time out to reflect on your own or hideaway with that someone very special, Dragonsflys Rest is purely magical. 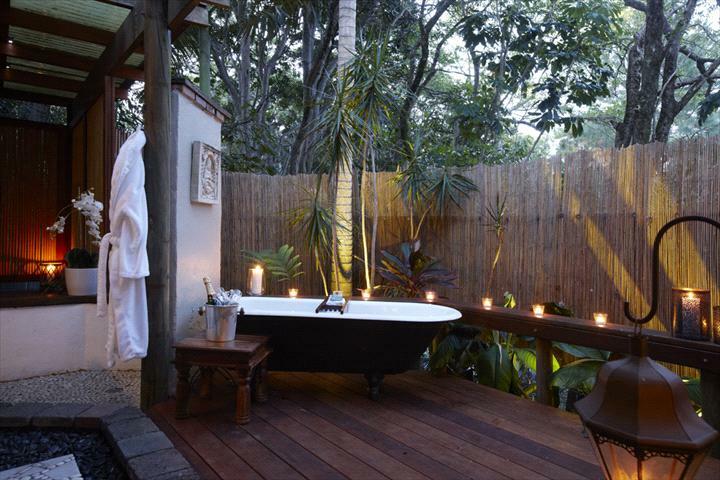 Dream under the stars in the elevated claw foot bath and relax on the large daybed in your own balinese inspired outside bathroom. The queen size bed looks out through the waterfall, over the pond and your own private garden. The spacious indoor sitting room also allows you to stretch out and listen to the distant bongo drums or watch a great movie on the TV. There is a bar fridge, microwave, DVD, fans, tea/coffee facilities with scrumptious Byron Bay Cookies and Coffee on arrival. Each Balinese style Buree has its own private courtyard, mezzanine queen size bedroom with TV and DVD player, kitchenette facilities, a double spa, private outdoor shower and heated slate floors for the cooler months. Indulge in an irrestistably enchanting space surrounded by plenty of inspiration to get you in the mood for your Byron Bay escape. The d�cor has a sharp and edgy beach feel that pulls you into the Byron groove. Walk through your own private garden patio and enter a world of lushness and peace. This one bedroom option has a tranquil outlook, you will wake up ready to explore all that Byron has to offer. There is a spacious lounge area and a fold out bed for an extra friend. The mozaic shower is spacious and not to mention the loo with a view. The beautifully appointed kitchen has a fridge, microwave, cooking facilites and scrumptious Byron Bay Coffee & Cookies on arrival.